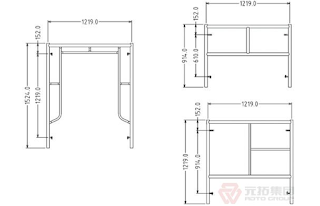 Scaffolding (scaffold) refers to the construction site for the operation and address the vertical and horizontal transport and erection bracket. Building industry in general terms, refers to the construction site in the exterior walls, interior decorating or where higher storey is not directly. Mainly to construction workers up and down jobs or install components such as perimeter safety net enclosure and air, that is scaffold, scaffold materials usually include:steel, bamboo, wood or synthetic materials. 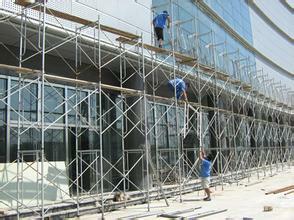 In recent years, steel scaffolding is more popular than others because its durability and convenience. There is steel scaffolding when the template use, in addition to the advertising industry, municipal works, traffic roads and bridges, mines and other sectors are also widely used.